Donald Trump has earned his wealth at the expense of hardworking Americans, including manufacturing his products overseas. Hillary’s plan creates jobs. MADISON - Democratic Party of Wisconsin Chair Martha Laning and Representative Dana Wachs spoke at length Thursday about Donald Trump's and Mike Pence's dangerous agenda that would be a disaster for Wisconsin's economy. Both spoke to how Trump and Pence have been no friend to hard working Americans, who are just trying to get ahead. In, contrast they how Hillary Clinton is building an economy that work's for all of us, not just those at the top. Her agenda includes making the largest investment in good paying jobs since President Eisenhower, strengthening our public education system, and incentivizing companies to create jobs here at home, not shipping them over seas. "We know that Donald Trump has earned his wealth at the expense of hardworking Americans -- including manufacturing his products overseas. And we’ve heard about Mike Pence’s terrible economic record time and time again -- so is it any surprise these two are peas in a pod when it comes to their thoughts on creating jobs?" "We are stronger when we build an economy that works for everyone - not just those at the top. We need good jobs and a good quality pubic school education available in every part of Wisconsin. It’s clear from her proposals that Sec. Clinton understands that we’re stronger together, she is prepared to launch the largest investment in job creation since World War II. That’s the kind of progressive vision we need." "Hillary’s plan to create jobs stands in stark contrast to Donald Trump and Mike Pence’s economic policies, which would be devastating to working families. One thing is clear: Wisconsin households just can’t afford to buy what Mike Pence is trying to sell us today." "Hillary believes that we are stronger when we build an economy that works for everyone – not just those at the top – with good jobs and a good education available in every zip code. Mike Pence, on the other hand, is no friend to the American worker." "As governor of Indiana, Mike Pence’s policies hurt wages for Hoosiers time and time again. In order to allow skilled workers to earn less, he signed a law that eliminating a tool used by state and local governments to set pay rates on building projects. That law supported a livable wage for Indiana residents -- it allowed them the opportunity to achieve the American dream and break into the middle class. Mike Pence changed all that with one signature." "It could not be more clear - Mike Pence prioritized his politics over the well being of Indiana workers time and time again. He’s so wrong for Indiana, he left before they could vote and he is wrong for Wisconsin." 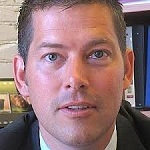 MADISON - Rep. Sean Duffy, an original #NeverTrump stalwart has since turned into a Donald Trump apologist ever since his Chief of Staff, Vince Trovato, took over the statewide operations for Trump campaign in Wisconsin just under two months ago. In that time, Duffy has defended Trump's most offensive and dangerous comments without batting an eye. Just last week, in an interview with CNN, Duffy described Trump's feud with the Khan Gold Star family "just words," and this week while speaking to Theo Keith at FOX 6 Milwaukee, Sean Duffy blamed the media for taking Donald Trump's dangerous second amendment comments "out of context" while urging the party's nominee to "stick to the script." Democratic candidate Mary Hoeft who challenging Rep. Sean Duffy in the 7th Congressional District knows just how dangerous Donald Trump is for our country and is taking Duffy to task for being a Trump apologist. Democrat Mary Hoeft will face incumbent Congressman Sean Duffy in northern Wisconsin’s 7th Congressional District race come November, and she plans to make an issue out of Duffy's support for Republican presidential nominee Donald Trump. "When he's talking about Trump, he has an excuse for the things Trump is saying, and Trump is saying dangerous things," Hoeft said of Duffy. "So yes, I will make a point throughout this next three months, unless Sean Duffy separates himself from him, which I don't think he's going to do." Hoeft, a University of Wisconsin-Barron County communications arts professor, defeated Marathon County Board Supervisor Joel Lewis in Tuesday's Democratic primary. Duffy defeated real estate broker Don Raihala in Tuesday’s 7th District Republican primary and has held the position since 2011. Hoeft said Duffy should renounce his support for Trump following Trump's controversial comments about the Second Amendment and Democratic presidential nominee Hillary Clinton. "When he dares to suggest that people who follow the Second Amendment can do something about Hillary Clinton, you tell me that that's not a veiled threat," Hoeft said. "And Sean Duffy needs to separate himself from this man." Trump said he was referring to the organizing power of gun rights advocates. Hoeft has also challenged Duffy to a series of debates. Calls to Duffy’s campaign office were not returned by deadline. 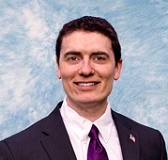 MOUNT PLEASANT, WI - Democratic candidate for Wisconsin’s 1st Congressional District Ryan Solen discovered Wednesday that he had received an endorsement from Andrew Anglin of the Internet site The Daily Stormer. To his horror this endorsement came from a known neo-Nazi and white supremacist and a website that espouses nothing but hate. Ryan Solen soundly rejects this endorsement as it is at complete odds with everything for which he stands. 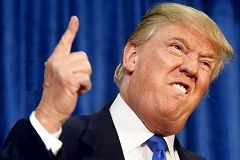 In the 2016 election there has been a tremendous amount of bigotry and repulsive rhetoric coming from candidates who aspire to the highest office in America to a candidate who once ran in the same Congressional election as Ryan Solen. Ryan Solen has a strong campaign planned to unseat his Republican competitor, Paul Ryan, and he wants votes but he emphatically does not want votes from those who support intolerance towards other people. Ryan Solen wants to win this election and will only do so without compromising his integrity. It pains Ryan Solen to give this man and his site any additional attention but he will not be linked to this group in any way. The campaign was never contacted about this endorsement and would have quickly turned it down. It was only through social media, where Ryan Solen has a tremendous amount of support in Wisconsin and across the country, that this was uncovered. Additionally, it is claimed that Ryan Solen’s positions reflect that of Republican candidate for president, Donald Trump. This could not be farther from the truth and the writer clearly did not do his research or reach out to Ryan Solen for comment. Ryan Solen stands for equality and inclusion with all communities except those that seek to deny hard-fought-for American rights or pursue an agenda that claims one group is somehow better than another. This endorsement was unsolicited and unwanted. Ryan Solen looks forward to the day when he serves in the U.S. House of Representatives and can start working on a stronger future for Wisconsin and America.